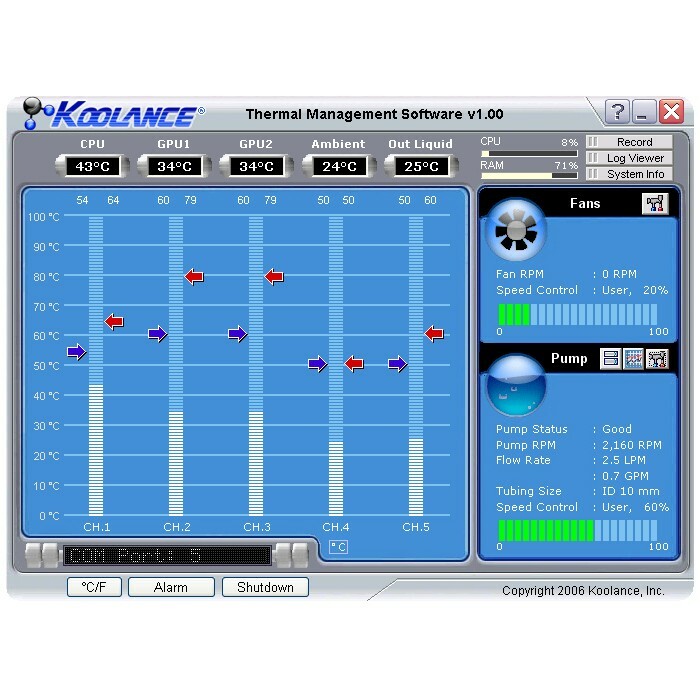 Koolance's Thermal Management Software (TMS) enables complete user control of Koolance liquid cooling systems via a Windows Vista 32/64-bit or XP 32/64-bit graphical user interface (NOTE: Vista 64-bit requires the download of a separate driver). Using the associated hardware board, TMS includes all functions found in Koolance's most advanced liquid cooling products, and adds even more features and control. 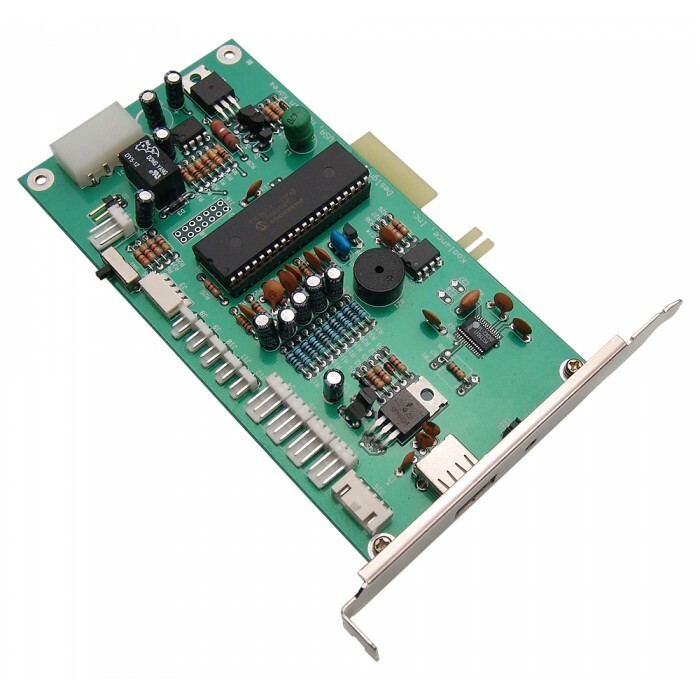 The TMS interface card can be installed into a PCI or PCI-Express slot (with included L-bracket), 3.5" bay (with included tray), or optionally adapted to a 5.25" bay. It utilizes one external or internal USB port, and is powered by a direct 12V power supply connection. TMS communicates through the USB connection only. Functions such as: temperature feedback, alarm settings, safety shutdown, and **fan speed can be adjusted using the TMS program (and their related logging features). Nearly every Koolance system already provides this capability built-in. So what new features have been added? *Coolant flow reporting requires a Koolance INS-FM15 or INS-FM16 flow meter. Pump power adjustment and speed reporting requires a Koolance PMP-400 pump/system: PC4-1000 chassis, RP-1000 or RP-950 bay reservoir, or TNK-400 reservoir product. Fan speed reporting requires 3-wire (tach) fans. **TMS can not adjust radiator fan speeds for Koolance Exos products.